Salton Sea 101 by Steve Horvitz The complete on-line version of this easy-to-read primer about the Salton Sea. The Salton Sea An exhaustive site maintained by San Diego State University. 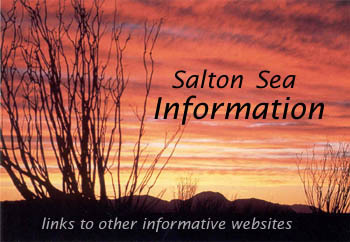 Salton Sea weather Current and extended forecast.